I’m going to go out on a limb here and assume you care about what you eat. You might be a vegan, a co-op member, or a “diet starts Monday” yo-yoer, but it’s rare these days to meet someone who isn’t on some sort of diet. As more people care (and become more educated) about what they’re putting in their bodies, it makes sense that what they’re putting on their bodies has become more important, too. That’s why you may have noticed that beauty products are starting to look more, well, delicious. Using fruits, vegetables and other natural ingredients as remedies has been popular for centuries. As beauty companies become more adept at utilizing nature’s bounty for our gain, and consumers are more in tune to their health and wellness, the beauty counter is beginning to read more like the produce section than your typical department store floor. Many of the tasty ingredients we’re seeing lately are packed with high quantities of antioxidants, which are proven to help prevent damage to your skin by combating free radicals. This means that these vitamins and enzymes can help with everything from sun damage to premature aging. Here we’ve rounded up some common (and some surprising) food-based ingredients that are perfect to integrate into your skincare routine — no food co-op membership required. A smoothie bar staple, the açai berry (which is native to South and Central America) is one of the original “superfruits.” It contains a high quantity of antioxidants, some studies claiming that it even has more than the more common cranberries, raspberries, blueberries or strawberries. The powerful fruit is said to have a variety of benefits ranging from heart health, as a digestion aid and an immune system booster. And its helpful properties extend to topical use. By now, we all know that antioxidants are good for your skin. But did you know they can also benefit your hair? Antioxidants, like those found in the açai berry extract in Seven® Haircare Borato® Volume Conditioner ($28), help with detoxifying the hair and also can fortify your locks against damage. The ancient pomegranate fruit has been prized the world over for centuries (remember your Greek mythology?). These days, we still eat the seeds and drink the juice because it’s high in vitamin C and, you guessed it, antioxidants. That means it’s a powerful anti-inflammatory agent and has even been said to help ease arthritis and combat heart disease. Because of its anti-inflammatory and antioxidant properties, pomegranate extract is great for your skin, too. 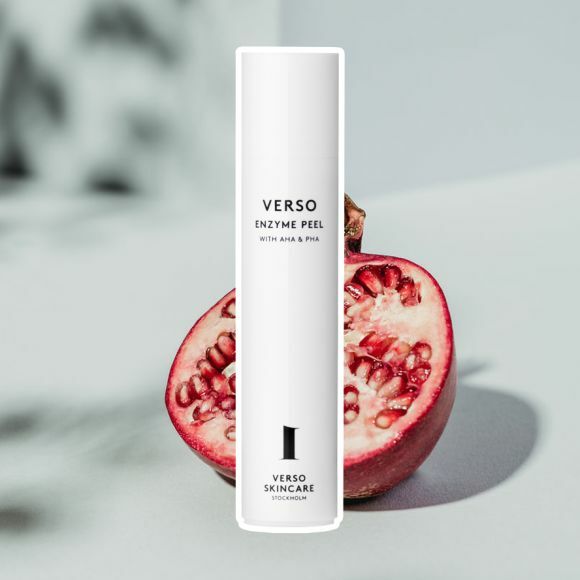 It can help prevent damage from environmental agents (like pollution and sun) and can also be used for anti-aging, like in the Verso Enzyme Peel ($90). Mixed with other enzymes, the pomegranate extract helps to soothe the skin after exfoliation. Even if you only think about pineapple when you’re ordering that second piña colada on vacation, the tropical fruit has some very real benefits to your body. It’s packed with vitamin C and also is high in dietary fiber. Additionally, it contains manganese, a naturally occurring mineral that has been shown to help regulate sugar levels and metabolism, support healthy bones and reduce inflammation in the body. Some have even claimed that it has been used to help heal burns since ancient times in parts of Central and South America. The reason pineapple is good for your skin is thanks to the enzyme bromelain, which is an antioxidant with skin-soothing properties. But the enzyme is also a powerful exfoliant that some say mimics an alpha hydroxy acid (AHA) in its ability to remove dead skin cells. This is great news for those of us that are sensitive to acids. (Learn more about acids in skincare here.) Similar to papaya enzyme, pineapple enzyme can help gently slough off those dead skin cells to reveal the glow beneath. Herbivore Botanicals® Brightening Mask ($48) combines both to great effect. There’s a reason your mom always tried to make you eat mushrooms when you were a kid. Mushrooms of all varieties (and there are a lot of them) are rich in fiber, vitamins and minerals. Most contain copper, which is essential to red blood cell production and potassium, which is needed for muscle function. When it comes to skincare, though, certain kinds of mushrooms can have better effects thanks to their higher levels of vitamins and different properties. The Lion’s Mane (hericium erinaceum) mushroom extract found in The Plant Base Time Stop Collagen Ampoule ($29) can have a positive neurotrophic effect on nerve function and has sometimes been used for healing wounds. This translates to your face in its anti-aging properties by helping to combat the degeneration of cells. The fragrant, flowering hibiscus might seem more at home in a floral arrangement than in your kitchen cabinet, but this type of flower is often used in teas, which are integral to Chinese and Ayurvedic medicine. The tea (made from certain varieties of hibiscus) features anti-inflammatory benefits and is sometimes used to treat high blood pressure and high cholesterol. All parts of the hibiscus plant can be used for their different properties, which brings us to what it can do for your skin. 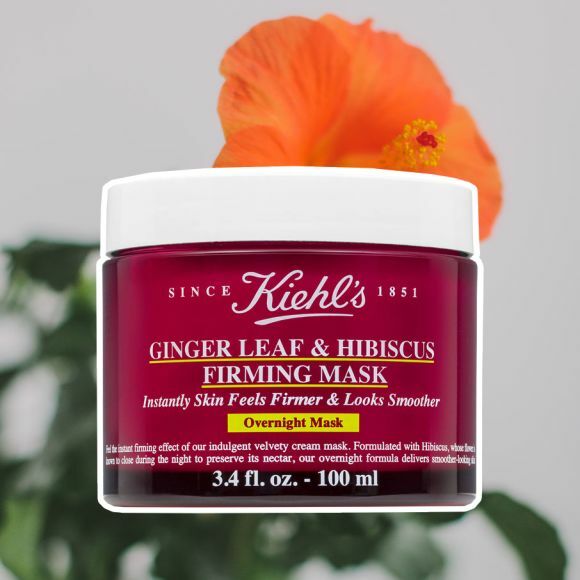 The seed of the hibiscus plant — the part used in Kiehl’s Since 1851® Ginger Leaf and Hibiscus Firming Mask ($54) — is high in vitamin E, which is a powerful antioxidant and anti-aging ingredient. Other parts of the hibiscus plant can contain high amounts of vitamin C and polyphenols, a specific type of antioxidant, which combat free radical damage. However, if you are sensitive to fragrance, be mindful when the whole plant is used in a product — hibiscus is quite fragrant. You can’t throw a fork into a farm-to-table restaurant these days without hitting a kale salad. The now-common leafy green has become ubiquitous for good reason. The superfood vegetable is prized for its potent mix of vitamins, minerals, fiber and even calcium. Kale has been said to help with almost any malady you can think of, from heart disease to even cancer. It’s not such a far leap, then, to find out that kale can also help with your skin. The vitamins C, E and K help fortify your skin and protect from environmental stressors that can damage your skin, causing premature aging and dullness. Youth to the People® Superfood Antioxidant Cleanser ($36) uses kale extract (as well as spinach and green tea), packing a serious punch of skin-friendly nutrients into your everyday routine. If you’ve been in a health food store recently, you understand that not all honey is created equal. High-quality honey (not to mention swanky Manuka honey) can really break the bank. There’s a good reason for that — the higher quality the honey, the richer it is in antioxidants. The potency of these enzymes and organic acids have been said to help lower blood pressure and promote heart health. When it comes to your skin, however, most honey will do just fine. Honey has a skin-soothing property due to its composition of amino acids, peptides and antioxidants. It also has an anti-bacterial quality, which helps protect the skin against damage. This isn’t to say that you should squeeze out the contents of that teddy bear-shaped bottle onto your face. Instead, opt for a moisturizer like Farmacy Honey Drop Lightweight Moisturizer ($45), which uses a proprietary kind of honey called Echinacea GreenEnvy™ to give you the antioxidant and skin-soothing power without the stickiness.